Being a parent is a challenge. Sometimes you can use a little help, and the St. Tammany Parish Hospital Parenting Center is ready to promote confidence and competence in you, encourage optimal development for your child and enhance the well-being of your family as a whole. Some people use the center to help their children socialize with others without experiencing the trauma of separation anxiety. Some families utilize the center as a support system to help validate the very difficult job of parenting. This also gives them the opportunity to observe that many of the child's behaviors are normal! Our programs give parents who are juggling more than one child the opportunity to share individual quality time with each. As parents, it is nice to learn how other parents deal with the same challenges. Parents and caregivers may take advantage of the many programs that are offered to the community that deal with a variety of parenting issues. The Parenting Center is not just for parents with problems. It's for parents who want to build on their parenting skills while developing positive self-esteem in their children. The Parenting Center is not affiliated with planned pregnancy organizations, nor does it scrutinize anyone’s parenting skills. We are all in this learning process together! As a department of St. Tammany Parish Hospital, the Center is dedicated to meeting the needs of children and parents. The purpose of this program is to provide a center where parents, through the help of professionally trained staff, can develop parenting skills, thereby maximizing their child’s intellectual, physical, social, emotional, and educational development. The Parenting Center is not a day care or drop-off program. Most of our activities are interactive opportunities for parents with their children. The St. Tammany Parish Hospital Parenting Center offers a variety of classes, programs and services throughout the year. To find out when the next class or program will be held, click here to visit our calendar. The Parenting Center is open every weekday from 9 a.m. to 1 p.m. for members and their children to drop in. 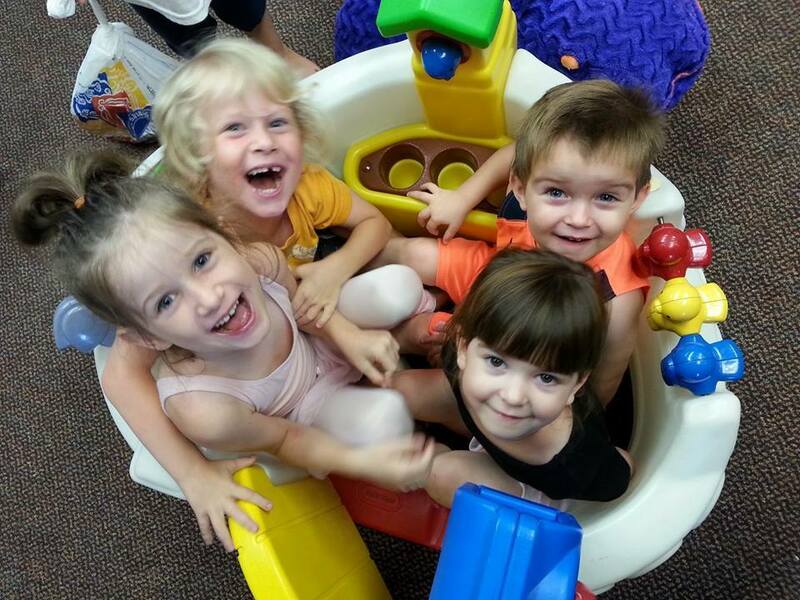 Come enjoy our interactive classes with your child or visit with other parents, grandparents or caregivers while the children play and develop their social skills. You can browse through our library, socialize with other members to find out how to handle everyday problems or share your everyday joys of parenting. We’re here to help, and our First Steps e-newsletter is an invaluable resource covering the weekly changes you’ll experience from conception to two years old. The free e-newsletter offers helpful tips and resources, answers to FAQs and information tailored to your specific stage of pregnancy and/or your child’s age. Parenting is a difficult job and often stressful for new parents. We hope you'll consider volunteering to help others as they experience the joys and compromises that come with parenting. By donating a few hours per month, you can make a difference in the lives of children and families in our community.